In the assessment guidelines, it says “Congratulations, you have reached the point of working on your Final Project. This is your opportunity to demonstrate synthesis of skills you developed in the previous weeks. Your goal is to keep it as affordable as possible. Design and fabricate your own parts instead of buying off-the-shelf components. Each student, whether working individually or in a group, must prove mastery of the skills gained during the program.” I first read “prove the mystery of the skills gained”, and that kind of how I feel. I will do my best and include as many skills as possible into my final project. However, the first and foremost skill that I have gained, I can’t really show. It the skill of feeling happy and proud of the process I have made during this journey. It has been great fun! 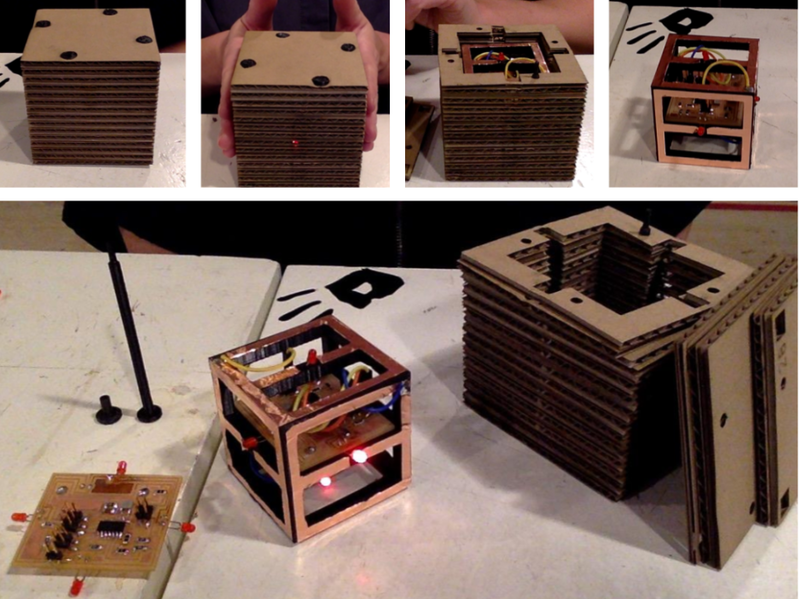 The project seems like it’s a stack of cardboard pieces. But when you hold them or put them together, LEDs will lit up and blink.